Reinventing the box, one Crate at a time! Made-to-order Crates offer simple, highly customizable storage solutions for your home and office. Each Crate starts as a box and evolves from there. Choose from standard widths, heights and depths; 8 design styles; and an array of hardware to create your perfect Crate storage unit. 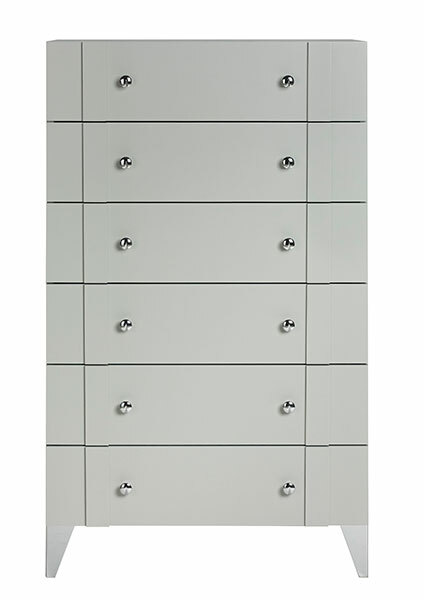 Doublewide Dresser shown in Dove with Shutter drawers and Brushed Silver pulls and feet.